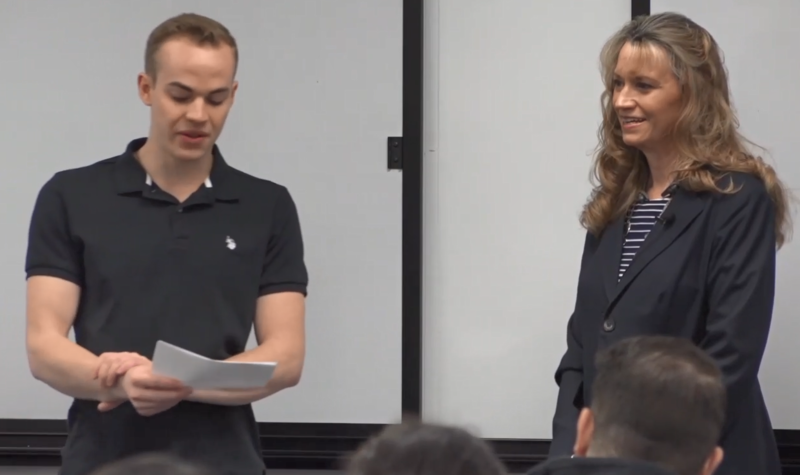 Susan Cordts, founder, and CEO of Catalytic Health Partners was a featured guest speaker for HCD 310: Healthcare Communication class at Arizona State University. Her company, Catalytic Health Partners, is doing just that by improving patient outcomes by addressing the social, behavioral, and physical aspects of their health. CHP provides members with a health advocate that helps to ensure that daily health and well-being needs are being met. Cordts works closely with healthcare professionals to best accommodate the patient’s needs. Her approach to her career is to learn about people, what challenges they face, and how they may overcome these challenges together. She began her presentation by sharing some information about the demographic she serves. Many students were surprised to hear that the average income of the population she serves is $750 a month. Cordts mentioned that she refers to the patients she serves as members, elevating them to an equal. Many of her members are affected by many of the social determinants of health such as low income, lack of nutritious food options, and lack of reliable transportation. CHP addresses these individuals in a unique way. CHP visits members in their own home. Cordts even goes herself to homes to addresses members in a personalized manner. “We find a way to say yes to those who have always heard no.” – Susan Cordts, CEO at Catalytic Health Partners. Cordts shared with the class an encounter she had with a diabetic member, who suffered from debilitating sores on his feet. He was described by medical staff as noncompliant and cantankerous. Cordts decided to dive deeper into why he responded this way. She learned that there was a podiatrist he wanted to see, because of a treatment offered that might heal his wounds. Time and time again he had been told no, leading to resentment and low self-worth. Cordts found a way to address his concerns and went out of her way to tell him “yes.” For the first time, this gentleman felt as though his voice was heard. All students were taken with Ms. Cordts’s approach to patient care and communication. Several students stated that after the discussion they felt inspired to take any opportunity to empower their patients in their future professional careers. Students took from Ms. Cordts that healthcare communication is more than just dictating to patients what they should do. It is understanding where patients are coming from and meeting them halfway. Cordts ended her presentation by providing her personal number and email to students, making herself easily accessible for networking and volunteer opportunities.